How Can People Easily Receive Answers from God? Tell them to share and to ask like a child would ask for another candy, never dreaming that a person would say “no” to a child. YOU, each person IS that child. Humanity has been taught to “follow” rather than to listen within. To listen to your gut instincts – no, so many people do not even do that, and then wonder “why” something would happen, when they were INTERNALLY guided in the opposite direction. Sometimes people are distracted by what the ego has to say. Too many people believe their DOUBTS more than the truth in their OWN HEART! So THIS is “why” it takes some people longer than others. It’s like someone not believing in their own inborn abilities. Perhaps you, yes you reading this message, have true talent, and someone taught you that your talent was NO talent at all. So at that point you immediately took on that other person’s belief, instead of THE REAL TRUTH! So now, EVERY member of the human race has this already built inside – this internal connection to God, your Higher Self via the energy of your soul. There is never a moment you are NOT connected, you are ALWAYS connected, it simply takes your belief that you are, along with what you are asking about with respect to your receiving answers. Are you asking about how to turn around any and all false negative views of SELF? Or are you asking about what you “should” do? It’s okay to ask both, however, what matter at hand REALLY means the universe to you deep in your heart? 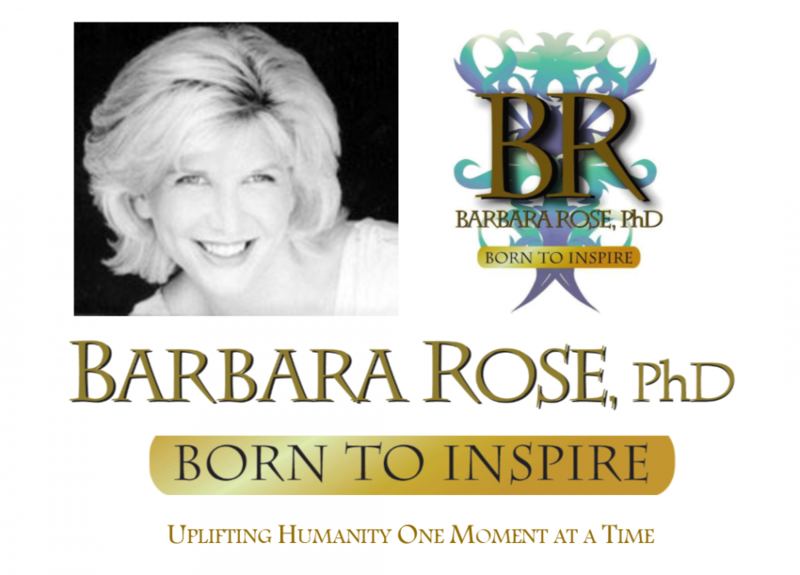 When Barbara Rose asked, “Dear God, Why did you let me lose my children?” That question meant her whole heart to her, it was the purest question, with a sincere desire to know the PURE TRUTH. So in reply, she RECEIVED the PURE TRUTH – she never “lost” her children! Oh, but she did not realize that before the writing, only after. WHAT ARE YOU ASKING ABOUT? On a scale of 1 to 10 (1 – one – being the lowest) how much would you give in your life for an answer to your question? How much does that question mean to you, to your life, your happiness, your FINALLY knowing TRUTH? You see, when you are starting this process, and you feel blocked, more of your focus, either consciously or unconsciously is focusing on how you “cannot” or “will not” receive an answer. Perhaps you already KNOW the answer, and that would mean you may need to change some aspects of your life in order to live your truth. Perhaps you already KNOW the truth, and feel afraid to honor it. When life brings you down to your knees, and ALL you desire is an answer to your MOST HEARTFELT questions – to help you GROW, and UNDERSTAND, and gain CLARITY, on the INSIDE, so you can then move forward, you will receive answers. But when there was nothing left in her life except a desire to know TRUTH, the answers poured in, poured into her mind, that she wrote down on paper with a pen. Now, this does NOT at ALL mean that you have to lose everything, you can feel INSPIRED to create something, so deeply inspired to TRULY make a difference, either for yourself or others, and your WHOLE HEART is asking for help with this. Your heart motive is so pure that your HEAD CANNOT even get in the way! Then, you will receive answers. If you are conditioned by society to think you ‘cannot’ then it WILL take much more effort on your part for your HEART to OVERRIDE YOUR HEAD! That is the key. Your heart and what you are asking about has to mean SO much to you, that your HEAD doesn’t even stand a chance to get in the way. So again, on a scale of 1 to 10, how much does what you are asking about mean your entire life to you? How much does this question matter to you? What about what is beneath the question? What is your motive for asking the question to begin with? Let’s start with just to know the pure truth. How about starting out with asking if what you believe about yourself that causes you to feel bad inside is the real truth? How much of a DESIRE do you have to truly want to turn around what you may have been taught, to finally knowing the real truth about YOU? This cannot be an intellectual process. If you are struggling to receive answers, the ego contained within the intellect is actually what is blocking you from receiving truth! So this is “why” in the beginning, your whole heart must be contained within the question, and it would be IDEAL if the question is all about gaining UNDERSTANDING AND CLARITY, rather than for outer direction. Once you know you are receiving truth, you can ask about anything. The purpose of this writing is to help you consciously receive your FIRST answer in writing. It would help you tremendously to listen to your gut instincts, MORE than the ego/intellect. THAT is God guiding you. It would help you if you TRULY listen to your OWN FEELINGS, and if you are DETERMINED to ONLY follow what you PREFER in your HEART – rather than the fears in the ego/intellect – you will more easily receive answers. This is ALL an “Inside” job. EVERY answer, you will hear within. You may have synchronicities on the outside that validate what is on the inside, or your external reality may be exactly the opposite of what your heart truly longs to experience. If the latter is the case, it does require you to move in the direction your HEART is guiding you, rather than the fears in your head – because the fears of the ego have kept far too many people from their own good for far too long. how determined are you to live out and follow THROUGH with what you either know deep inside is for your highest good, or if you were to receive the answer – what is the level of determination you have in following through with it – for your highest good? THAT will show you your level of openness to receiving answers. Start with what means your whole heart to you, and what you would give anything in the universe to understand or grow – because THAT is “why” you came into this life to begin with – and this does apply to all of humanity. You wouldn’t be here, on earth, if you did not sign up for the growth lessons in front of you. © Copyright 2007, 2011 by Barbara Rose, PhD All Rights Reserved. This entry was posted in Browse Answers from God and tagged Barbara Rose PhD, Higher Self Communication, If God Hears Me I Want an Answer!, inspiration, Receiving Answers to Life's Challenges by Barbara Rose, PhD |Born To Inspire | Bestselling Author| Life Transformation Expert. Bookmark the permalink.